Johnny Depp’s ongoing legal fight with his ex-managers just keeps getting more acrimonious (and entertaining), with an attorney for The Management Group filing an amended complaint more bitter than most divorce documents in court yesterday. The filing was in response to an interview with The Wall Street Journal where Depp basically said, “It’s my money, I can do what I want,” blaming TMG for mismanaging his finances and adding that he actually spent $5 million to shoot his friend Hunter S. Thompson’s ashes out of a cannon, not $3 million has had been previously reported. 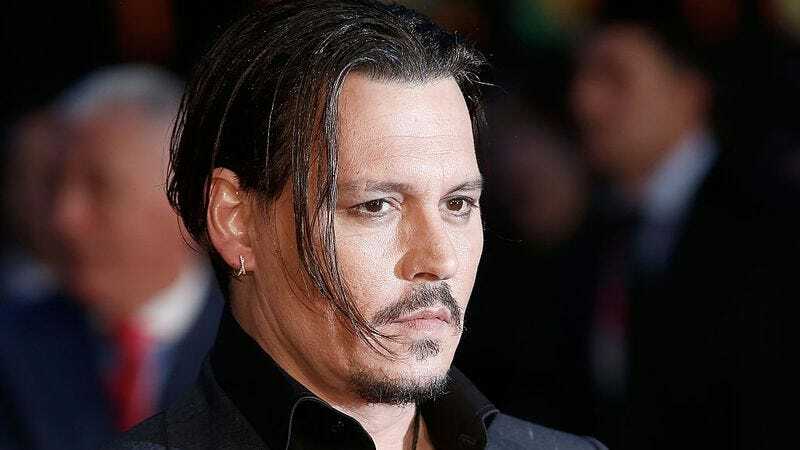 In response, The Management Group has decided to accept Depp’s challenge and specify the self-indulgent ways he chooses to spend his money, above and beyond what they’ve already detailed in previous filings. This time around, the most damning accusation involves the sound engineer Depp insists on keeping on yearly retainer. As evidence of Depp’s “clear and epic“ sense of entitlement, attorney Michael Kump says that Depp wears an earpiece whenever he’s on set so that his personal sound guy can feed him his lines “so that he no longer [has] to memorize“ them. Thus the wigs and hats, one assumes. Finally, it all makes sense!